Thomas Sully (1783–1872) painted some of the most dynamic personalities of the 19th century, including Queen Victoria, Thomas Jefferson, and the Marquis de Lafayette. Although he created more than two thousand portraits and subject paintings, his full production has never before been examined in depth. This book examines the cultural, intellectual, and social contexts in which Allan Ramsay produced his renowned portraits, along with other key works. Allan Ramsay's accomplished canvases and refined drawings offer us some of the defining portraits of the Enlightenment. Allan Ramsay, Court painter to King George III, was one of the major portrait painters of the eighteenth-century British school. Born in Edinburgh, he was also an important figure in the Scottish Enlightenment; his Dialogue on Taste merits an honoured place among eighteenth-century belles lettres. This book, by the world's foremost authority on Ramsay, gives an entirely fresh account of Ramsay's life and sheds new light on his artistic and intellectual development. A classical scholar and master of several modern languages, Ramsay was unquestionably the most erudite artist of the age. For much of early modern history, the opportunity to be immortalized in a portrait was explicitly tied to social class: only landed elite and royalty had the money and power to commission such an endeavor. But in the second half of the 16th century, access began to widen to the urban middle class, including merchants, lawyers, physicians, clergy, writers, and musicians. As portraiture proliferated in English cities and towns, the middle class gained social visibilitynot just for themselves as individuals, but for their entire class or industry. This enchanting book . . . tracks the sequence of events that led [to] Sully's fortuitous commission. . . .
A Passion for Performance features three lively essays--by Robyn Asleson, Shelley Bennett, Mark Leonard, and Shearer West--that explore the life and career of the English actress Sarah Siddons (1755-1831), who was renowned for her majestic beauty and impassioned performances. This lavish volume also illuminates her relationships with a number of artists who portrayed her, bringing together fifty-six portraits of Siddons including works by Sir Joshua Reynolds, Thomas Gainsborough, George Romney, Thomas Lawrence, and Gilbert Stuart, along with a chronology of the actress' life. The product of many years' research, this Dictionary examines over 5,000 British portrait artists providing much original biographical information, never before published. Portraits make up the largest section of the art market but in the past there has been scant coverage on the large numbers of men and women artists who specialized in what is arguably the most difficult of all subject matter to paint. Broad surveys on the subject have mostly focused on court painters and a favored few, but rarely examine the full spectrum of the profession with its wealth of talent. This book combines every kind of information needed by collectors, dealers, museums, libraries and auction houses. Original research has been gleaned from parish registers, monumental inscriptions, census returns, marriage licenses, wills, directories and contemporary accounts. Engravers of the artists' work are also listed to assist diligent researchers identify anonymous sitters and provide art historians with an indication of the contemporary availability of an artist's compositions. The illustrations have been carefully selected in order to show as many rarely seen unpublished works as possible. The Gallery's collection of portraits constitutes an extraordinary survey of five centuries of British painting, from Henry VII to Jane Austen, Samuel Pepys to Salman Rushdie, portrayed by great artists from Holbein to Avedon. This selection reflects the range and diversity of British life over the last five hundred years, and provides a fascinating overview of the faces that created our history and culture. 248 pages, 220 illustrations, 200 in colour. Among the manifold lessons history may teach is the skillful use of public relationsas used, for example, in the court of Elizabeth I. Four centuries ago, the sovereigns flaks and spinmeisters did a job, unmatched since, in the promotion of the cult of Gloriana (i.e., Elizabeth), celebrated as the maiden ruler for some 45 years during her life (and a long time thereafter). No longer would the Catholic Virgin Mary reign in England; the Protestant Virgin Queen would be venerated in her place. British art historian Strongs (Elizabeth R, 1971, etc.) 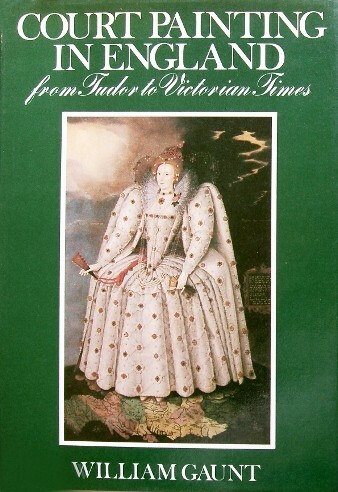 study, first published in Britain a generation ago and now available in the US as an elegant paperback, elucidates Elizabethan propaganda as it was practiced through the masterful use of poesy, pictures, and pageantsall designed to enhance the image of the Tudor queen. Familiar Elizabethan pictures are parsed to fix the scene and time. The National Portrait Gallery has such an importan t collection of 16th century portraits that a whol e gallery, known as The Tudor Gallery, is devoted to them. There is the 'Ditchley' portrait of Eliza beth I, as well as the Gallery's first ever acquis ition, a portrait of William Shakespeare. One was stabbed to death in an attempted coup. Another was portrayed as a villain in one of Shakespeare's plays. They are among the kings and queens who ruled Scotland over the last nine hundred years. This engaging book reveals the personalities of the Scottish monarchy and notes the landmark events of each reign. Meet Alexander III, who launched a successful bid to recover the Western Isles from the King of Norway, and later married his daughter to the king's son; James V, who often moved among the peasants disguised as a farmer, listening to their opinions and seducing their daughters; and the rest of the royal line. Portraits of the monarchs let you put faces to the stories. 96 pages, 30 color illus., 10 b/w illus., 3 3/4 x 5 1/2. The book is a survey written by David Piper, the Assistant Keeper of the National Portrait Gallery. "His method is to take the face of each period in turn, as depicted in the works of its portrait-painters, miniaturists, caricaturists, photographersnot forgetting of course, the influence of such adventitious factors as wigs, cosmetics, hairstyles and the like. There is for example, the Elizabethan face, stiff and starchy; the face of the Glorious Revolution, when noses were worn lofty and long, and so on down the ages to the bewhiskered Victorian face and the Edwardian face of the man of the world. Mr Piper shows that each age sets up for itself a particular norm of beauty or handsomeness. Obviously, not every face is equal to the strain put upon it. Hence the never-ending conflict between the sitter and the artist. The five hundred years covered by Mr Piper's survey of what painters did to sitters and sitters to painters, are a wittty and entertaining cavalcade. He is not beyond asking whether the English face actually exists. his answer will astonish, amuse and perplex anyone who thinks himselfor herself, for that matterthe proud possessor of an English face." Published in association with the National Trust. The Victorians and Edwardians believed passionately in the historical importance of their age and wanted to record the great figures of their time. During Queen Victoria's reign (1837-1901) Britain became the world's first industrialised commercial power. This wealth, combined with the prestige of the British empire, created an extraordinary source of patronage for portraiture, and a legacy that includes the world's first dedicated gallery of portraits - the National Portrait Gallery, London. This superb picture book is devoted to the development of the children's portrait in England during the eighteenth century and its dissemination throughout Europe. Portraits of children spending time in an open landscape without adults present reflected an entirely new perception of childhood that had its roots in the writings of Jean-Jacques Rousseau and John Locke. For the first time children were seen as autonomous individuals upon whom families focused their pride and attention. Artists represented in this engaging new study include Anthony van Dyck, Joshua Reynolds, Thomas Gainsborough, Henry Raeburn, Friedrich von Amerling and Franz Xaver Winterhalter. It is lavishly illustrated with a charming selection of children's portraits. It will appeal to anyone interested in art history and the development of portraiture. The Great Artists chronicles the lives, times and works of the men whose genius have captivated the art world for generations. Informative and entertaining, this series highlights important events in each artists life, explores their stylistic trademarks and provides detailed explanations of their techniques. The Great Artists also features expert commentary and analyses from leading authorities, art historians and scholars, new location footage and extensive period re-creations. The programs in this series contain an in-depth look at the English Masters. Undoubtedly, the first great painter to hail from England, William Hogarths work was a witty and brilliant satirical depiction of English society. This was a society with flaws and Hogarth was not afraid to condemn, as well as praise. With these characteristics combined, Hogarth was able to produce his greatest works, Modern Moral Subjects including The Rakes Progress and Marriage á-la-Mode which are still admired for their humor and vitality.Hogarth was also a portraitist and his great ambition led him to work in the Grand Manner of European history painting. This fascinating program includes all new location footage including a visit to Hogarths House in West London and St. Bartholomews Hospital and other inspirational London locations, re-creations and reconstructions, studies of the great works and commentaries and analyses from leading authorities, art historians and scholars. In this interdisciplinary volume, historians of art, literature, dress, and theater examine the impact of the actress on British art and culture of the Georgian era. From the celebrated doyennes of the stage to the demireps on the periphery of the profession, female performers are shown to have played a vital and hitherto under-appreciated role in the artist's studio, forging fruitful collaborations with leading artists and becoming nearly as influential in the studio as on the stage. Acting as models, muses, and patrons, actresses inspired a remarkable proliferation of images in which issues of theatricality, sexuality, and social mobility were explored in ways that were impossible in depictions of more "respectable" women. This handsomely illustrated book discusses portraiture as a cultural and political phenomenon in eighteenth-century England. Marcia Pointon offers detailed historical analyses of portraits by Gainsborough, Reynolds, Hogarth, and others, showing how portraiture of the period provided mechanisms for constructing and accessing a national past and for controlling a present that appeared increasingly unruly. The portly figure of Henry VIII depicted by Holbein may be very familiar, but this book reveals much more about the portrait, the sitter, the artist, and his workshop. It gathers together and analyzes the several copies and variants of Holbeins Whitehall cartoon of Henry VIII, more than one of which is by the only significant painter immediately after Holbein in England, Hans Eworth. The book reveals for the first time the results of extensive technical analysis and historical research undertaken on surviving versions of the portrait in the Walker Art Gallery, Chatsworth, Petworth, Trinity College, Cambridge, and elsewhere. It throws light not only on Henry VIII but on the Tudor court and on courtiers who, for their own purposes, wished to keep his memory alive after his death. The book explores how and when the portraits were painted and the motivation behind their production and also traces how they affected subsequent portrayals of the monarch, down to film and television. In this bold new study, Wendorf compares two arts--biography and portrait-painting--that have often been linked in a casual way but whose historical connections have remained unexplored. Reassessing the great age of English portraiture--from the arrival of Van Dyck to the publication of Boswell's Life of Johnson--Wendorf reveals that, despite their obvious differences, visual and verbal portraits often shared similar assumptions about the representation of historical character. Rooted in modern theory devoted to the comparison of literature and painting and to the problem of representation, the book examines each form of portraiture in terms of the other, bringing into discussion such writers as Izaak Walton, John Evelyn, John Aubrey, Roger North, Goldsmith, Johnson, Mrs. Piozzi, Boswell, and such artists as Van Dyck, Lely, Samuel Cooper, Jonathan Richardson, Hogarth, and Reynolds. The story of the kings and queens of England is an enthralling and sometimes tragic one. Starting with Celtic Britain, this pictorial survey takes us through the establishment of the Anglo-Saxon kingdoms, the Norman conquest, the medieval dynasties, Tudors and Stuarts and Hanoverians and the modern age and royalty of today. David Williamson, co-editor of Debrett1s Peerage and Baronetage, draws on a deep knowledge of history to paint sensitive and vivid portraits of each monarch. His text is enlivened with anecdotes and complemented by a rich selection of images, chosen primarily from the wealth of the Collections of The National Portrait Gallery of London.Oversize format with 118 illustrations, 70 in color and 11 color family trees. Experts on each of the seven main periods contribute to this detailed analysis of the artists, their styles, assistants and imitators. This collection of portraits from Francis Bacon, William Hogarth, Anthony Van Dyck and others, are filled with striking examples of people from all walks of life. Also included are six essays from portrait specialists. Catalogue raisonne of the Tudor and Jacobean portraits in the National Portrait Gallery. This work consists of two volumes: volume 1 is a text on Tudor and Jacobean portraits in the National Portrait Gallery and volume 2 consists of a microfiche with 693 plates.